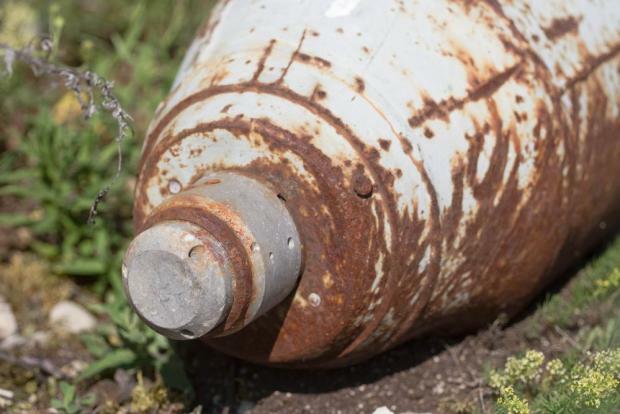 Man lies on unexploded WW II shell for 3 hours, told it's "ill-advised"
Lying down on top of an unexploded World War II shell is "strictly ill-advised", officials on Thursday told a Dutchman who found one in his garden. The man, from Venlo, in the south of country, spent three and a half hours lying over the device when it started whistling after he discovered it Wednesday evening. Even after the whistling stopped he did not dare move, but used his mobile phone to call emergency services, security services spokeswoman Veronique Klaassen told AFP. They called in a defence ministry bomb disposal service (EOD) team. "The EOD team must have come some distance, as they arrived around 1:00 am to free the man from his delicate position," said Klaassen. Neighbouring buildings were evacuated as a precaution but the device proved to be harmless. The man was treated for hypothermia symptoms after his hours lying in the freezing winter cold, said Klaassen. "It is strictly ill-advised to lie down on a bomb," she added. "The best thing to if you come across an explosive device is keep your distance and call the police." After he found the device, the man had tried to cover it up again with sand, she said.